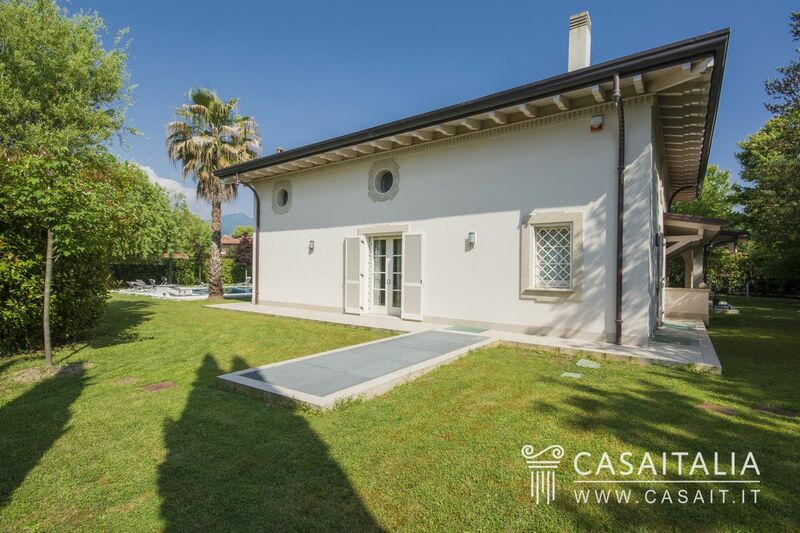 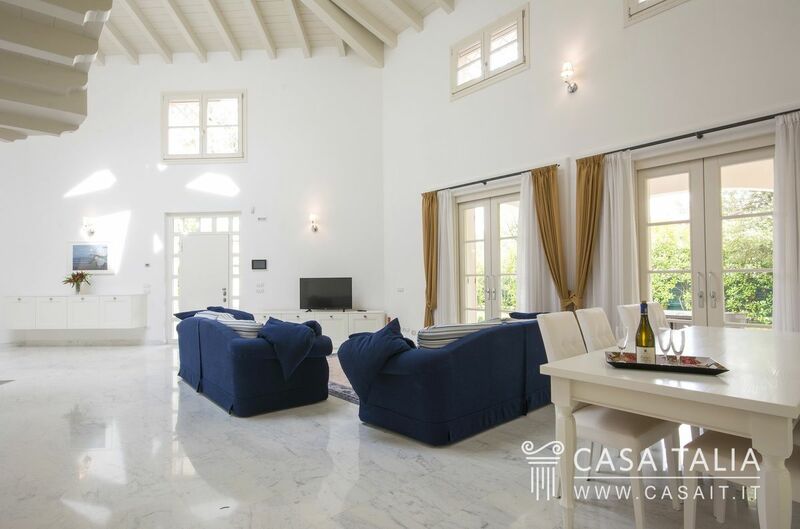 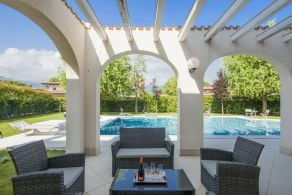 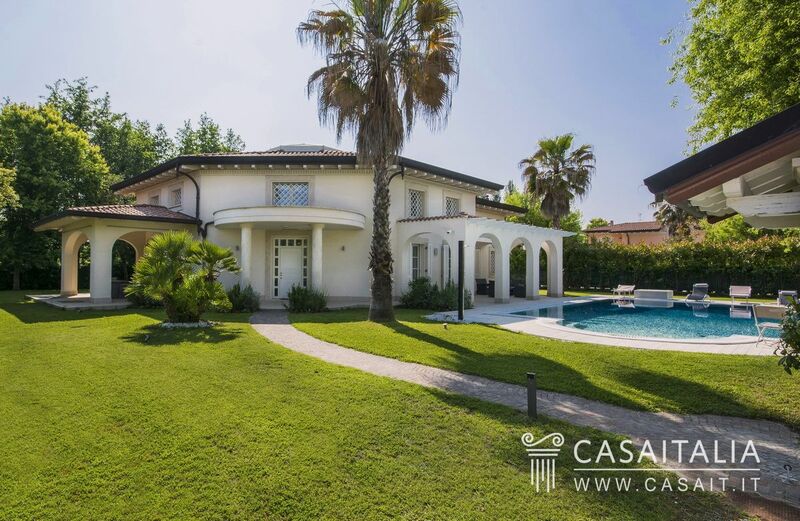 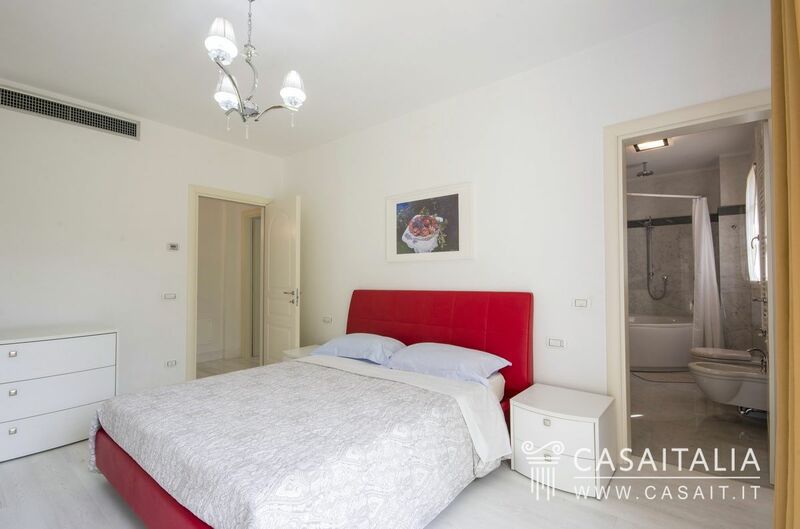 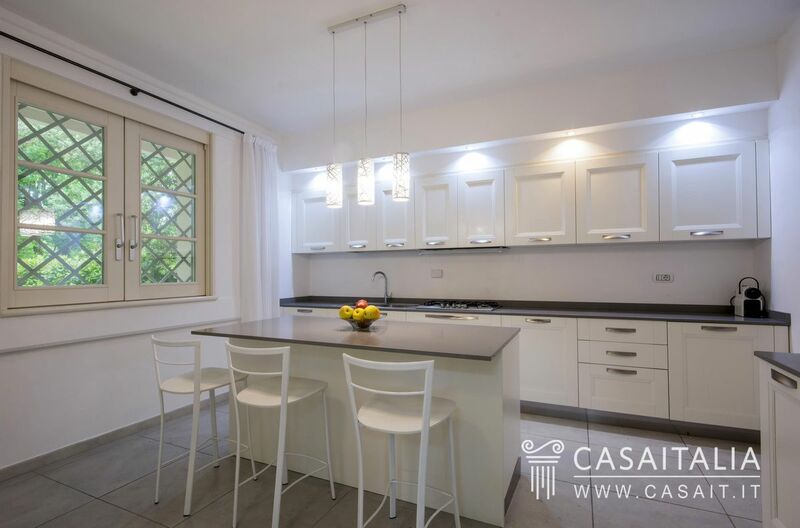 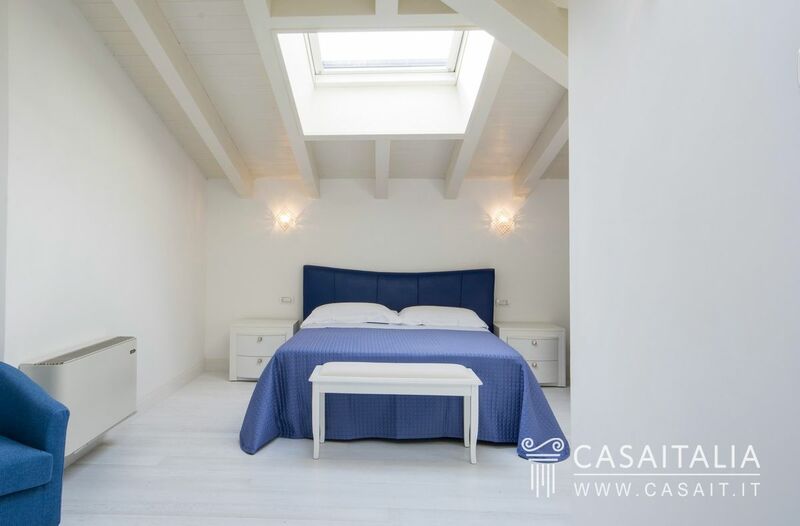 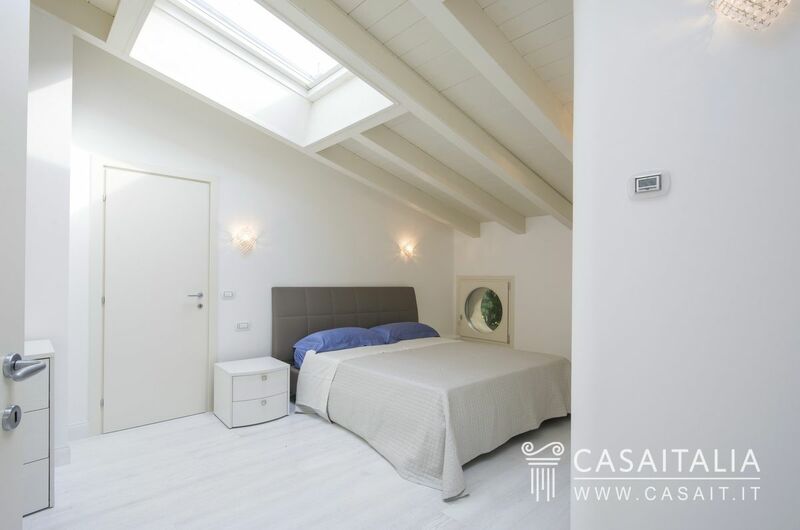 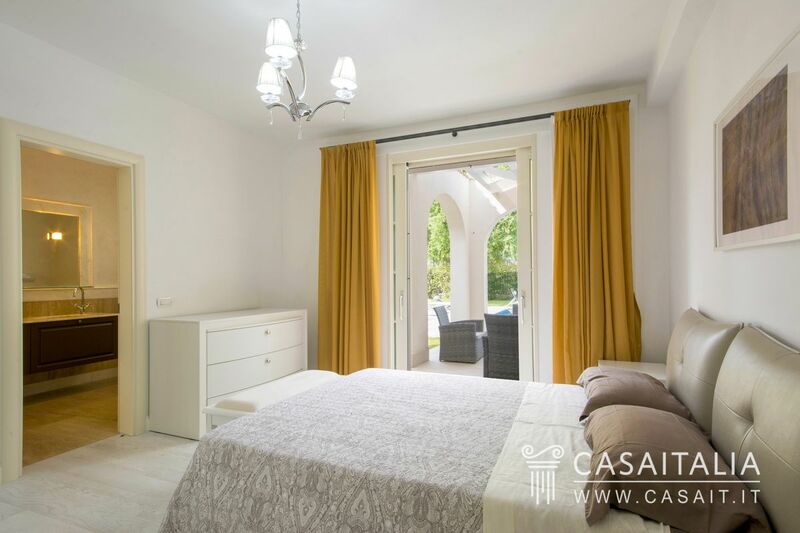 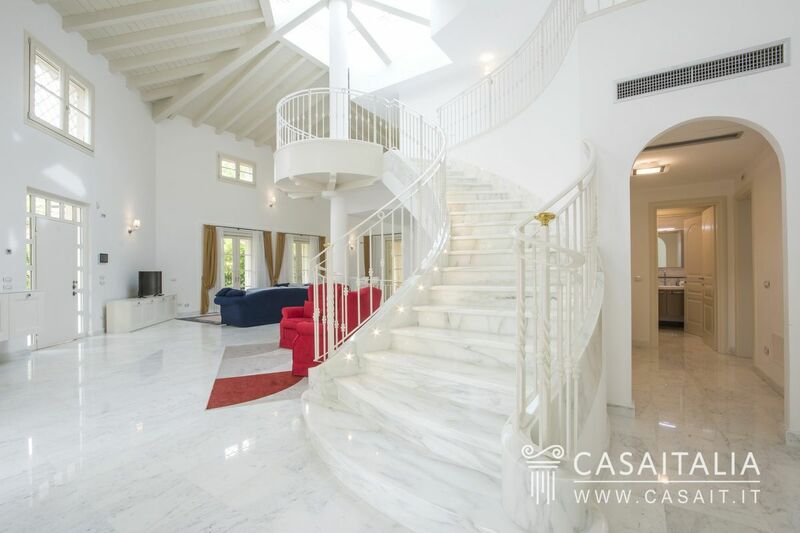 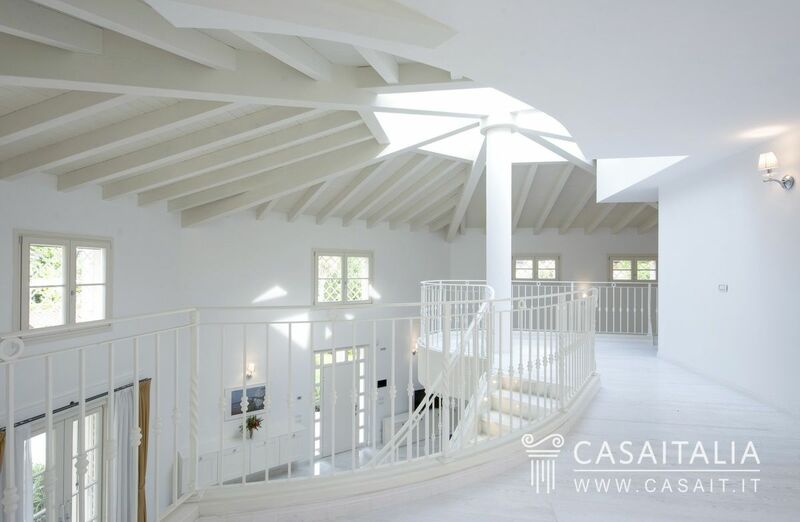 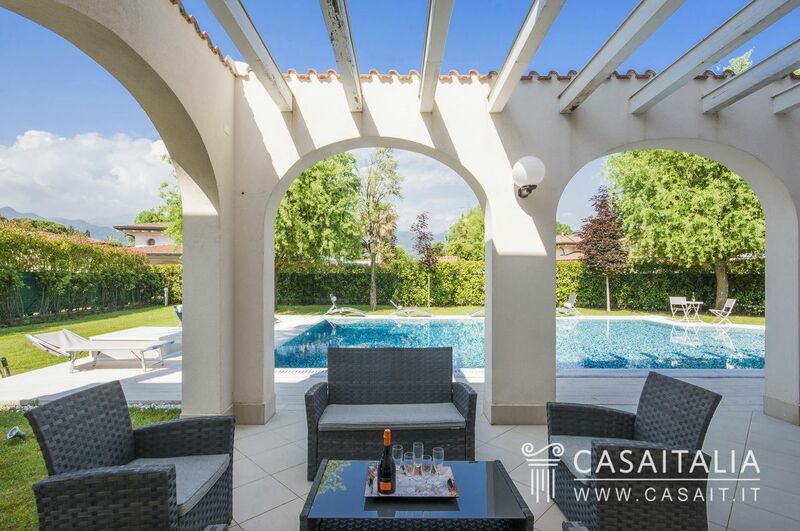 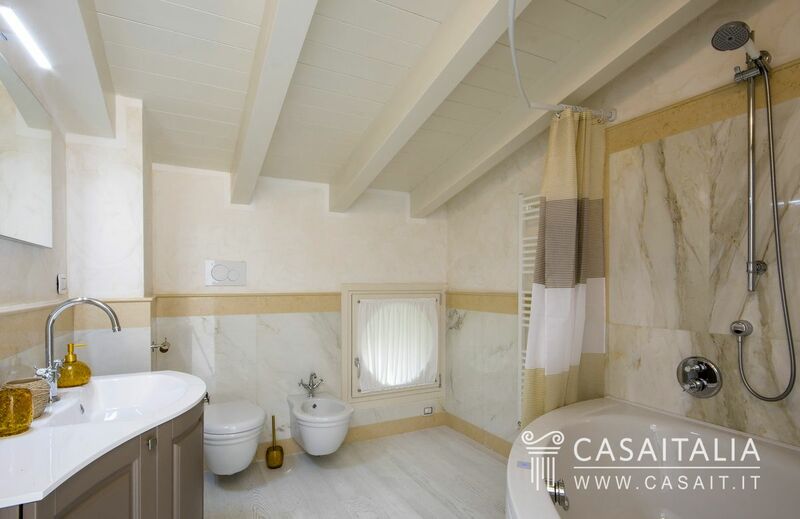 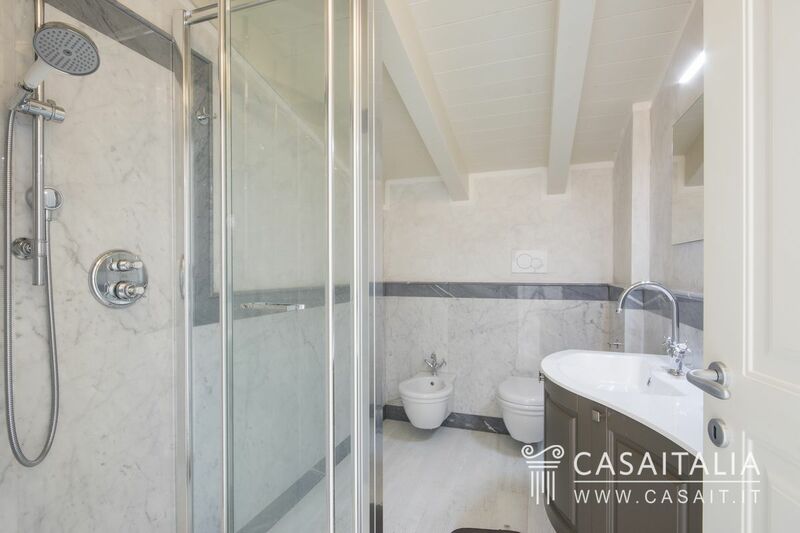 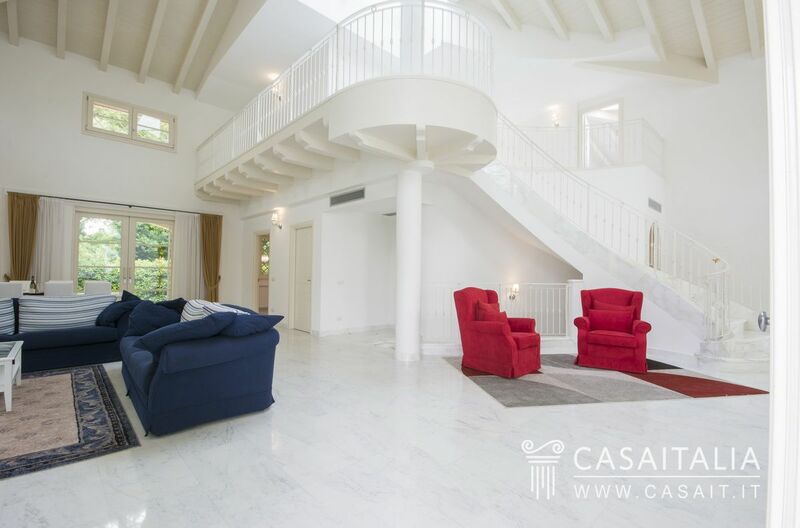 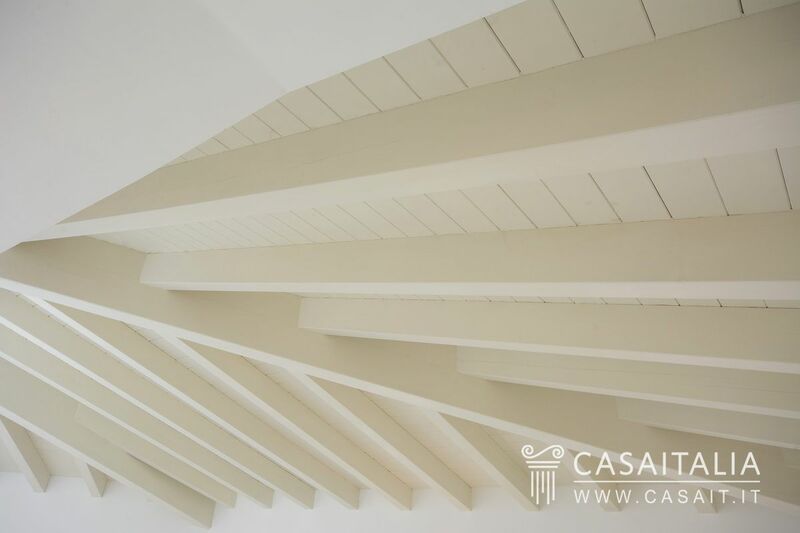 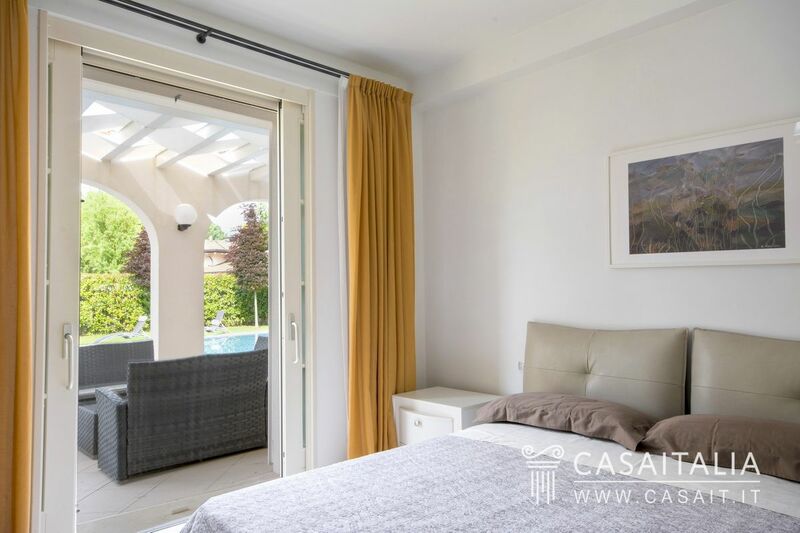 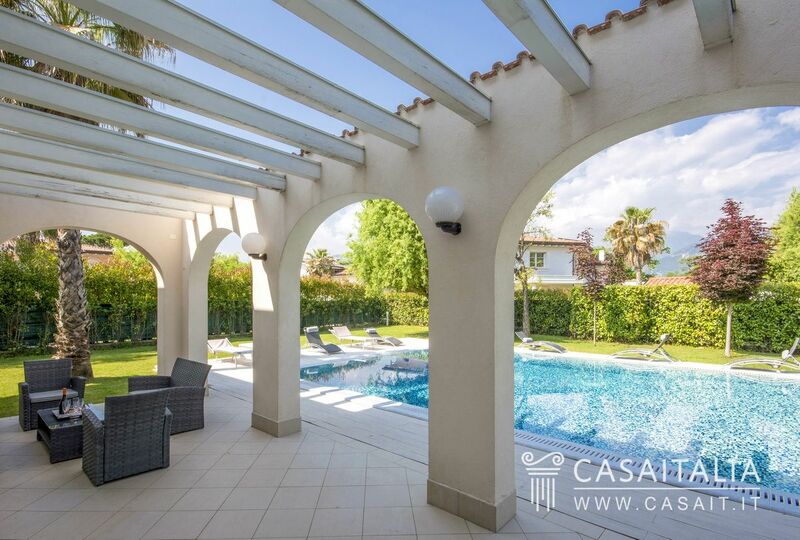 Villa Gemma is situated in the enchanting town of Forte dei Marmi, famous throughout the world for its beaches, the iconic Apuan Alps overlooking the town, its excellent restaurants, luxury shopping and the beautiful walk along the promenade. 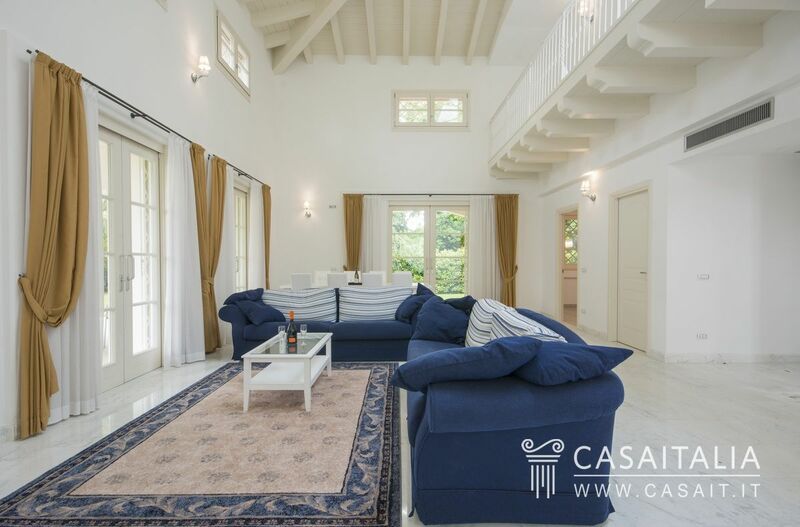 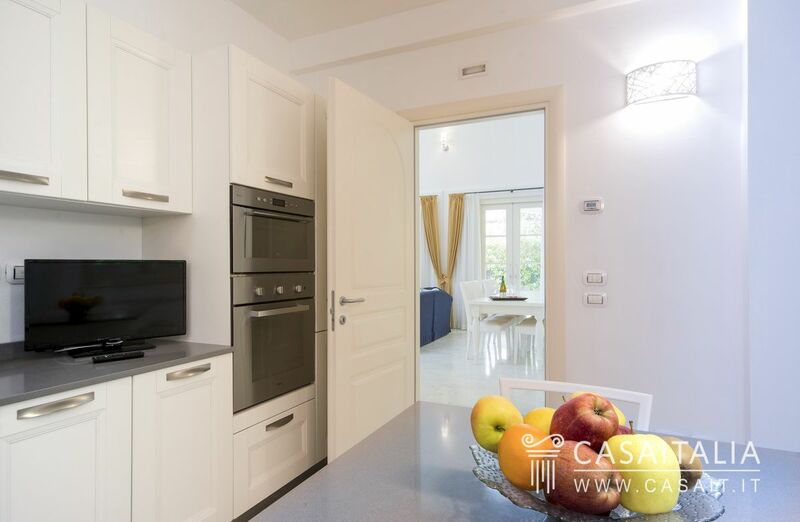 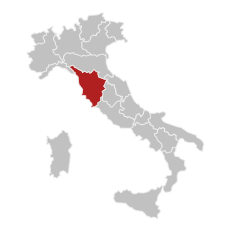 Villa Mariangela is a few minutes from the centre and the beaches, located halfway between the two, where privacy, peace and quiet are guaranteed. 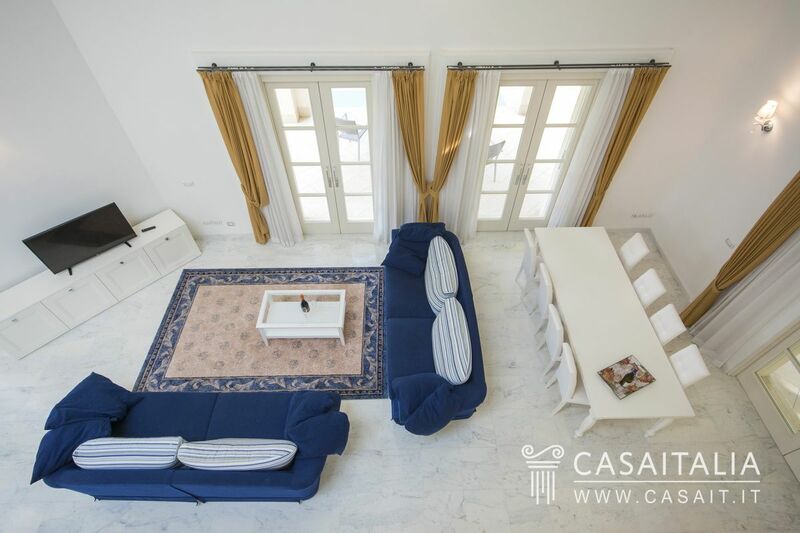 The villa is situated in a gated residential complex with only six villas in a similar style. 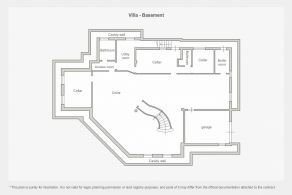 The house has three floors and measures 695 sq.m in total. 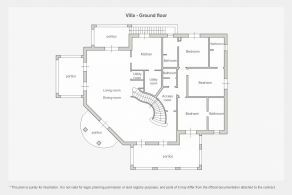 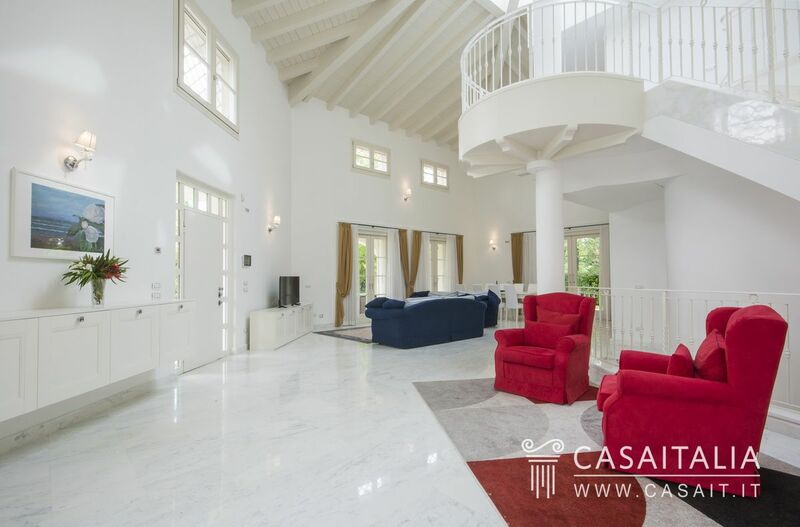 On the ground floor, measuring around 245 sq.m in total, the main entrance opens into a large sitting room the height of the whole house, which looks onto two large porticoes, the 900 sq.m garden and the swimming pool. To the right of the sitting room there is a sleeping area with three bedrooms and three bathrooms, while to the back there is the kitchen. 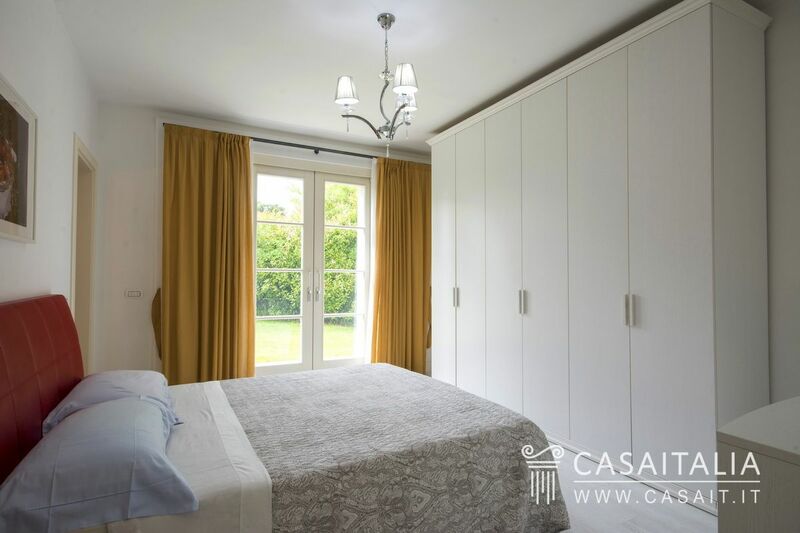 The first floor measures around 150 sq.m and is used as sleeping quarters, with three bedrooms and three en-suite bathrooms. 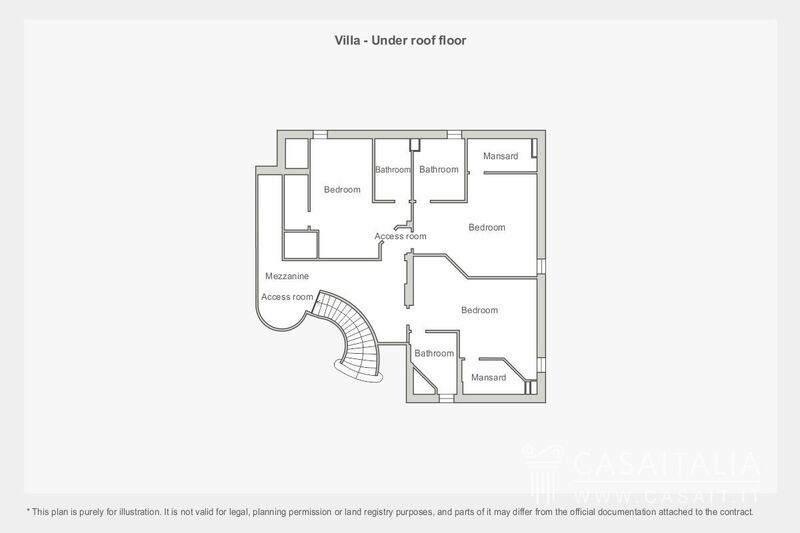 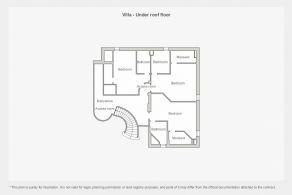 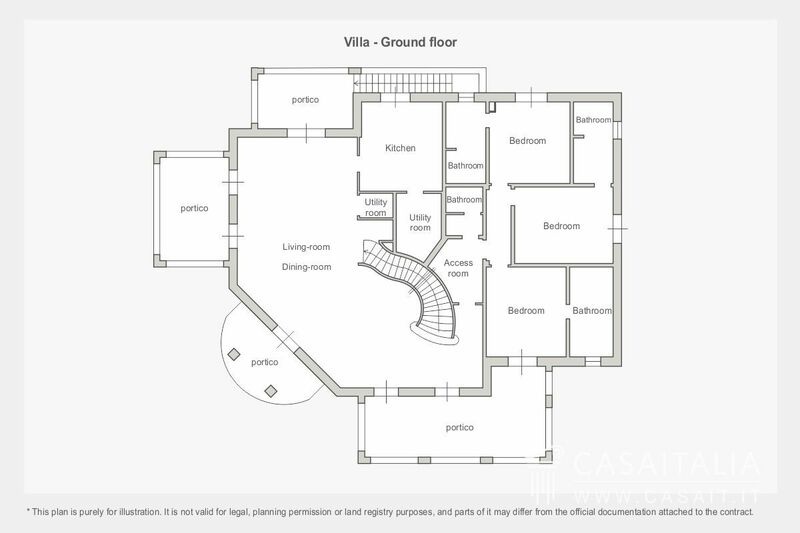 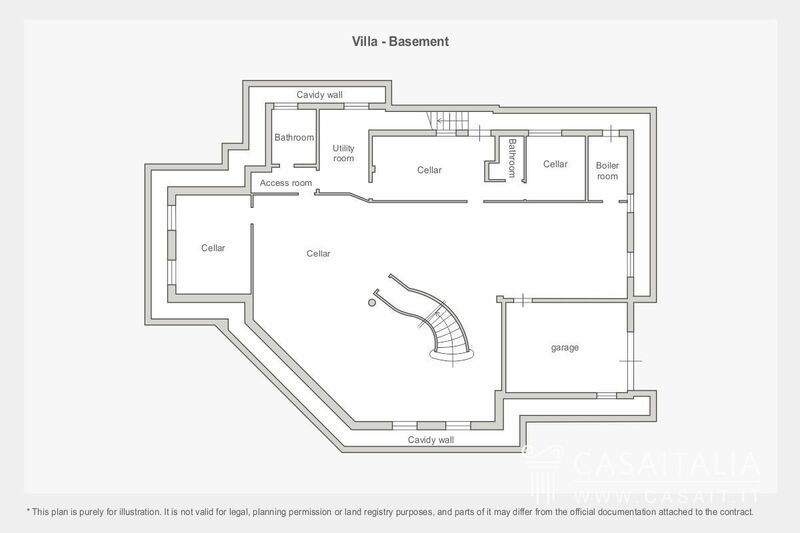 The basement, measuring around 300 sq.m, comprises large cellar, another three rooms, two bathrooms and a garage with access via an underground ramp to a covered parking area with space for a further 3 cars. 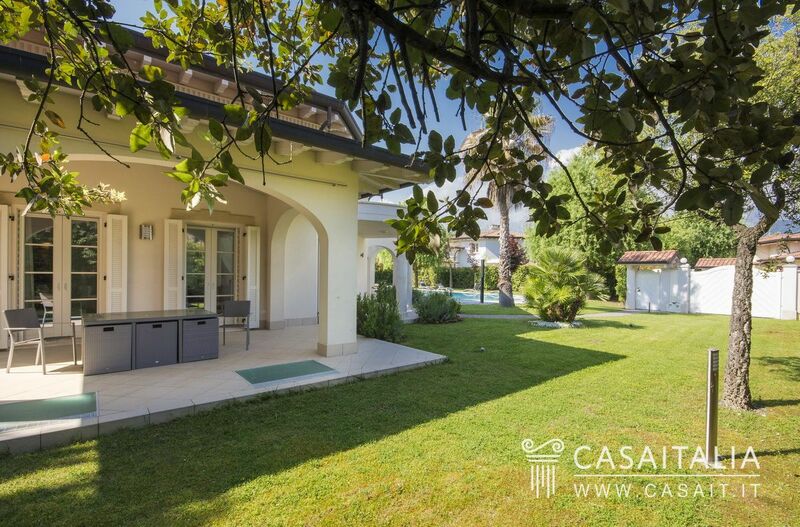 The 900 sq.m garden is beautiful, completely surrounded by tall trees. 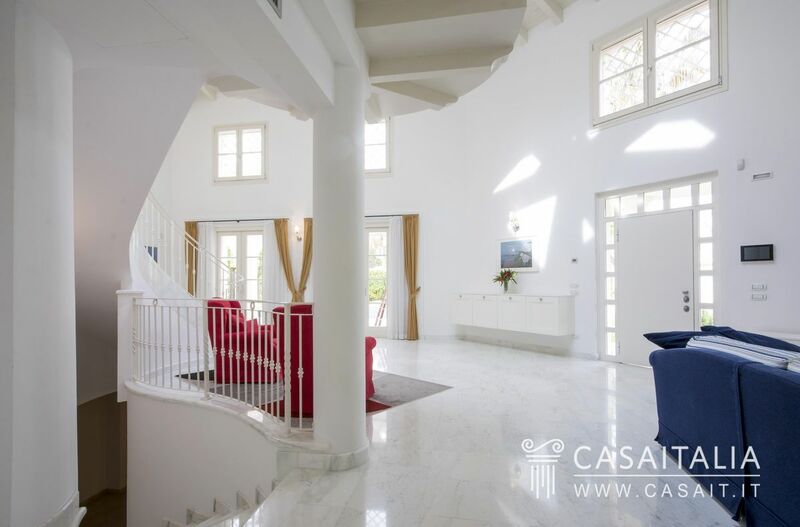 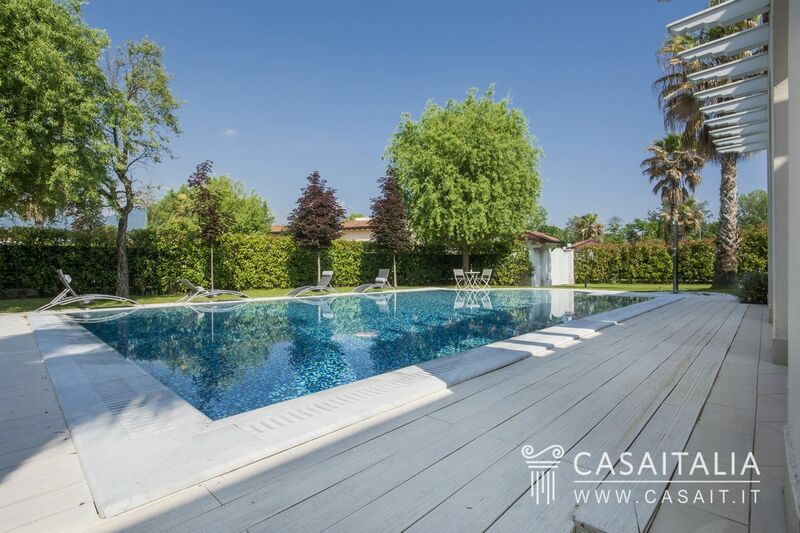 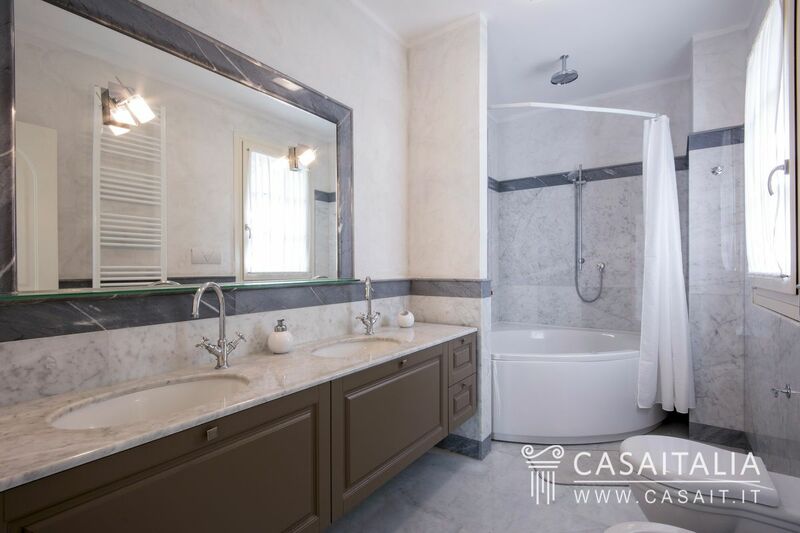 The property is completed by a large, decorative pool which measures over 90 sq.m.